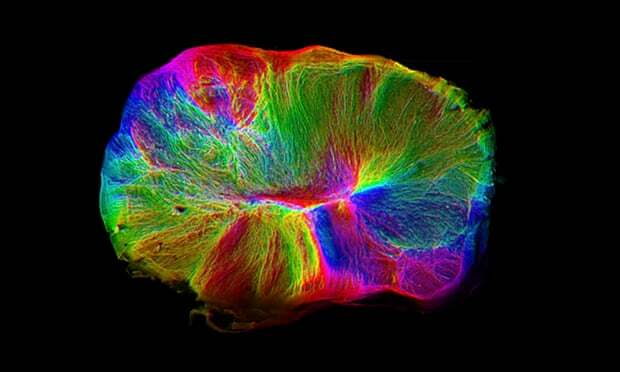 Scientists have grown a miniature brain in a dish with a spinal cord and muscles attached, an advance that promises to accelerate the study of conditions such as motor neuron disease. The scientists used a new method to grow the miniature brain from human stem cells, which allowed the organoid to reach a more sophisticated stage of development than previous experiments. The latest blob shows similarities, in terms of the variety of neurons and their organization, to the human fetal brain at 12-16 weeks of pregnancy.